Ms Chitwan Malhotra, Founder, World Health Forum has been awarded recently at International Environment Summit and awards program for Ganga Sanitation project. 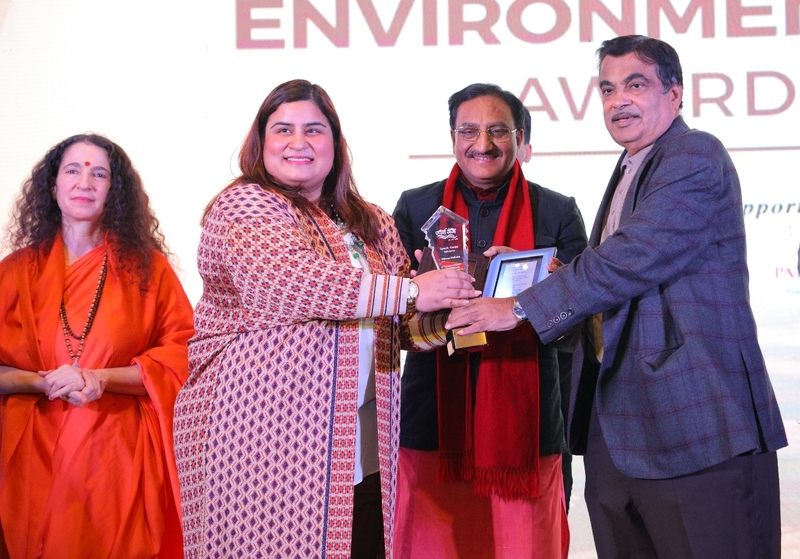 The award was given by Minister of Road Transport and Highways, Mr Nitin Gadkari. The Ganga Sanitation project is all about improving sanitation on the banks of Ganges for a healthier future. It expands access to sanitation by encouraging people to invest their own resources into building toilets that meet their needs. To change behaviour towards sanitation, the local community is engaged at every step of the process, creating a sense of ownership. The overall aim of the project is to ensure that behaviour towards sanitation changes by encouraging the creation of sanitation-linked micro-enterprises and providing incentives to women’s self-help groups for the construction of toilets. At the event, Chitwan Malhotra said, “ The Ganga deserves better coordination of funds and sanitation initiatives as well as a massive public awareness campaign to consider all individual and corporate efforts to reduce pollution. Small streams form great rivers, and so restoring the water quality of the Ganges will only happen with the cooperation of everybody, from small to big, along the revered river.